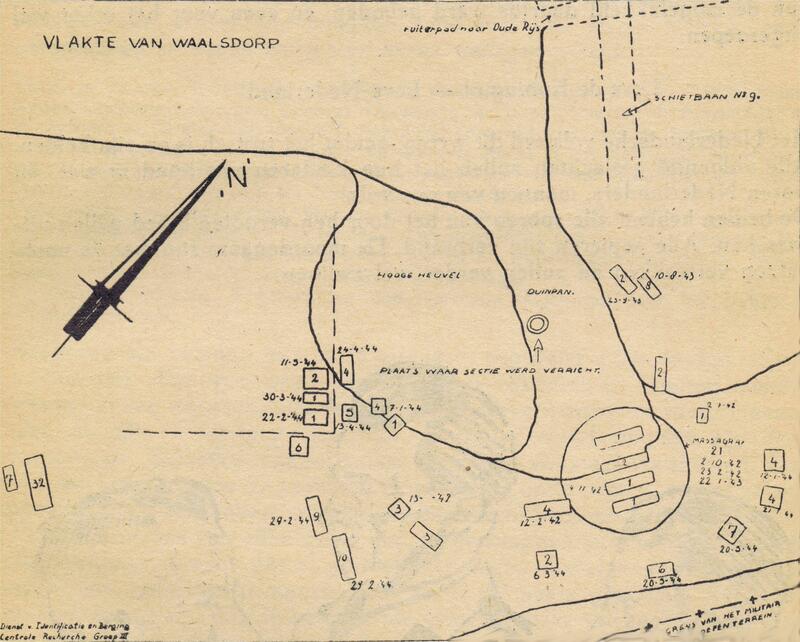 The Germans used the Waalsdorpervlakte (plain) in the dune area Meijendel in Wassenaar (near the Hague) during WWII as a fusillade. Resistance fighters held in a nearby prison, the so-called Orange hotel, were brought here and killed in this area. How many people exactly were executed during the war years is not known. The official record says that between 250 and 280, including especially many resistance fighters, were shot here. Back to Normandy combined a list with the names and dates of the executions with an old map from 1945. On this map the graves were marked after they were found in the sand. A number of the graves could be identified with a date when the grave was dug. By combining the map, the list with names and the GPS coordinates (as far as possible from this handwritten document) this map could be made. Be aware that the locations are not correct, but it does give an idea were these people were shot and buried. This location is also the site of top Nazi collaborator Anton Mussert's execution in 1946, a year after his arrest in The Hague on 7 May 1945. It is regarded one of the main locations where on 4 May "Remembrance of the Dead", a yearly commemoration of victims of World War II and other victims of war, is held.